Have you ever thought of a trip to the dentist as a relaxing or peaceful experience? At Advanced Dental Care, we want you to think our environment is very comfortable. Oral conscious sedation is one option for patients who experience dental anxiety and those who have difficulty managing pain with local anesthesia alone. This gentle, effective sedative is taken before patients ever leave home. That means patients with dental phobia don’t experience the pre-visit panic that often leads to cancelled appointments. At Advanced Dental Care, our goal is always to offer patients the highest level of care, and that means ensuring every patient is comfortable with every procedure, every time. For many patients, sedation dentistry is a great way to improve any dental visit. Why Choose Advanced Dental Care for Oral Conscious Sedation? Oral conscious sedation is one of the easiest, most effective forms of sedation. Unlike intravenous (IV) sedation that requires a needle or general anesthesia that causes patients to completely lose consciousness, oral conscious sedation offers patients relaxation without the addition of other fear factors. 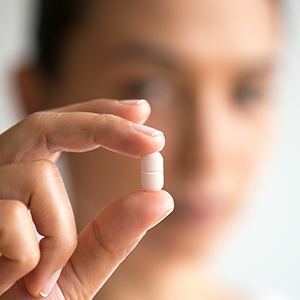 Dr. Jorgenson simply prescribes a common sedative medication to patients who then take the appropriate dosage at a predetermined time before their procedure. Because sedatives slow neuromuscular responses, patients should not drive, operate heavy machinery, or plan to return to work or school for at least twelve hours. A trusted friend or relative should be asked to transport patients to and from their appointment, as well as care for them until the effects of the sedative abate. Once patients arrive at Advanced Dental Care, they are ready to begin their procedure. Though patients are extremely relaxed and report being in a dream-like state, they remain conscious throughout treatment. Best of all, many patients report not remembering any of their treatment, and because they remained relaxed throughout treatment, they do not experience as much soreness as they heal. Who Benefits from Oral Conscious Sedation? 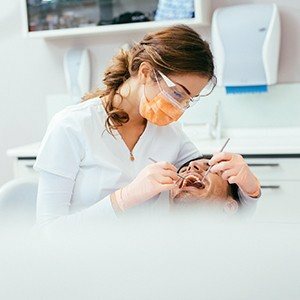 If you’re interested in relaxing dental care with sedation dentistry, contact Dr. Jorgenson and his Costa Mesa dental team at Advanced Dental Care. We’re happy to discuss oral conscious sedation, answer questions, or schedule a consultation for patients from surrounding areas, including Newport Beach, Newport Beach, Irvine and beyond.